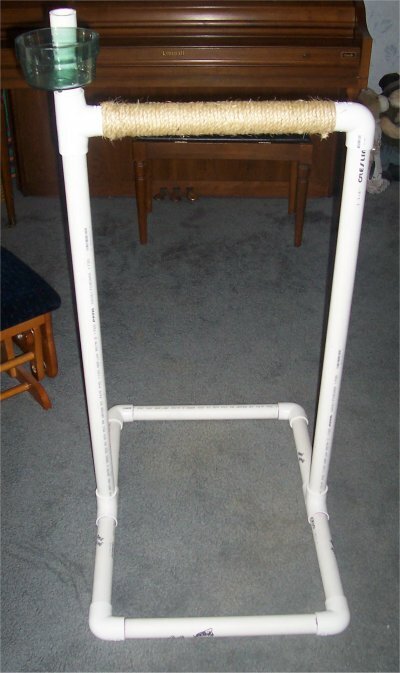 Make a stand-alone perch for your bird’s training or just for fun! Cut pieces of PVC to the sizes needed for the stand and assemble the stand with PVC connectors. Wrap sisal rope around the perch area and drill a plastic bowl onto the rail. Consider wrapping sisal rope around and across the pillars for a climbing net or hanging toys from the perch.